Gilles Leclerc's organ works on YouTube! 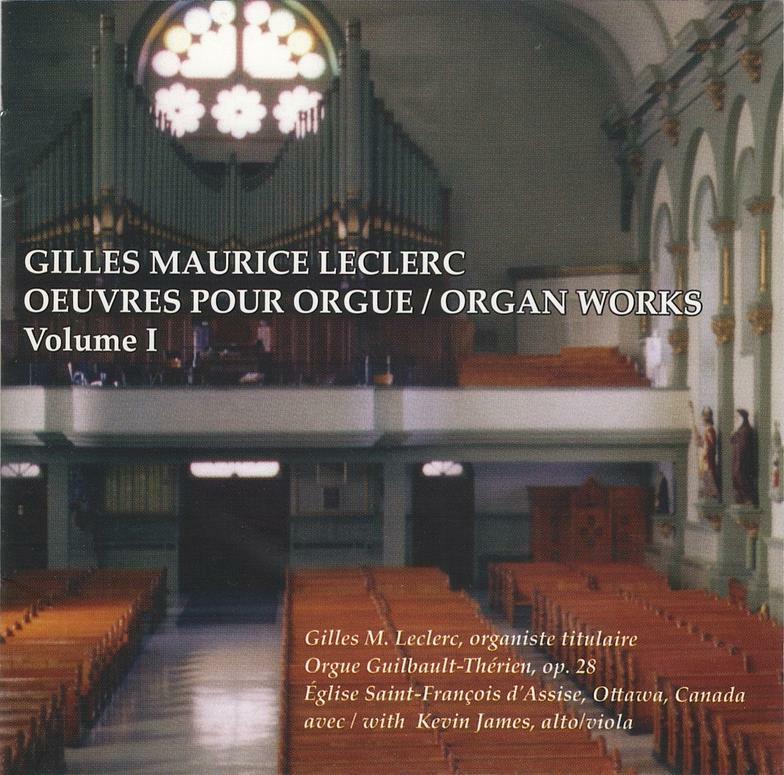 Just google "Gilles Maurice Leclerc"
*** ......This CD is the first in a projected series and includes a set of variations of Pange lingua, which alludes to the French tradition of Duruflé and Vierne, and a novelty - a brief suite for viola and organ commissioned by Kevin James, who performs it here. Leclerc is noted for his skill as an improviser and the CD includes two examples that, interestingly, are more complex and substantial in length than any of his bona fide compositions.